The multi-cultural society of Australia provides an ideal setting to examine differences in the characteristics of Type 2 diabetes in 7 ethnic groups. Ethnicity is an independent determinant of survival rates in our patients with Type 2 diabetes. The high mortality of the Australian Aborigines has been previously documented but the relatively poor survival of the Anglo-Celtic group is less expected. 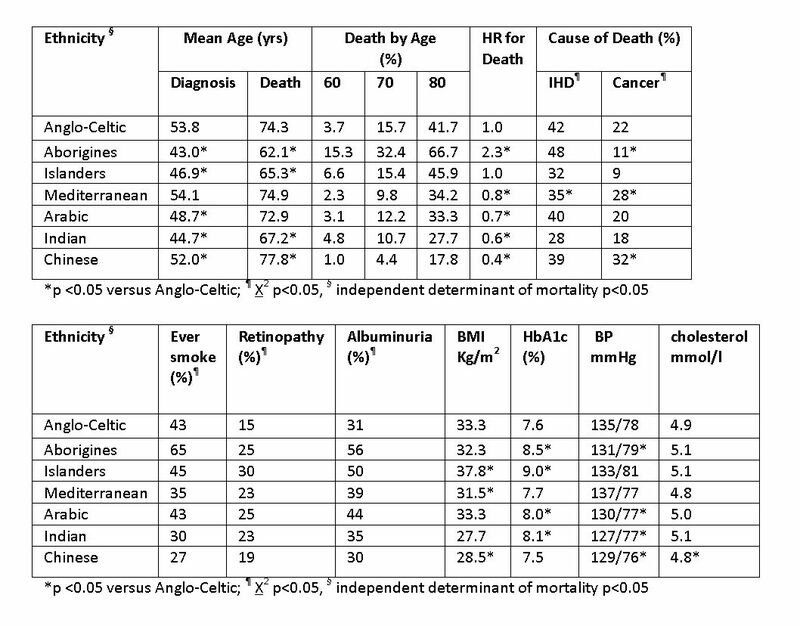 Overall, in this series, smoking history, albuminuria and blood pressure are determinants of survival but smoking history explains best the differences between ethnic groups. Further studies are required to separate the effects of socio-economic from genetic factors.